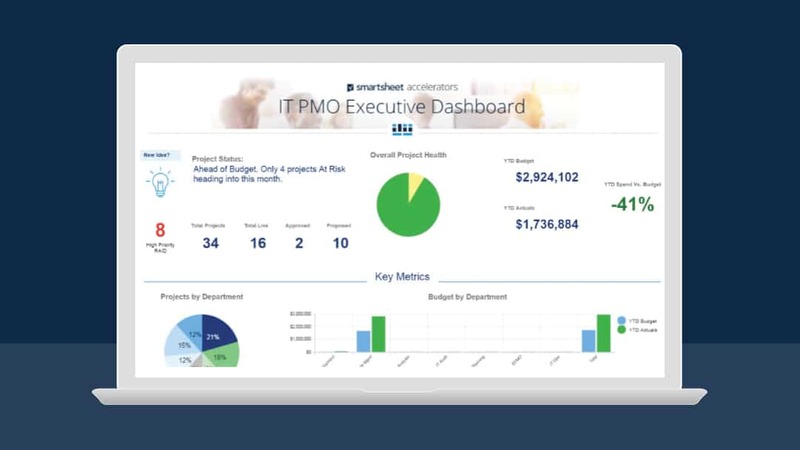 Discover a more collaborative, real-time way to manage your PMO. In an effort to improve execution of strategic initiatives, many organizations have created project management offices (PMOs). The hope is that the PMO will help them deliver projects on time and on budget due to a focus on increased project and process efficiency. However, not all project management offices are a success right away. Discover what a project management office is, the benefits and challenges of running a PMO, and some best practices to help you get started. The purpose of a project management office is to help the organization deliver projects in a strategic and efficient way by standardizing policies and following project management methodologies. The structures, styles, and operating methods can vary among PMOs, and the jobs and functions depend on the type of organizational structure. If you decide that implementing a PMO is right for your organization, there are several steps you need to consider. Gain support from senior leadership. It’s important to set clear expectations and gain the buy-in of key leaders. Analyze your current state. Take inventory of your current project management strengths and weaknesses, and define strategic objectives. Develop your PMO concept. This step includes considering competencies and processes, hierarchical position, and team members. Set up the PMO. Pick you project management software, implement processes and methods, and communicate to the organization. Manage operations. Consult on or manage projects, promote transparency, and provide training as needed. Video: Optimize Your Project Management Office, Now! Scope management is crucial. If the scope of your project is your destination, then failing to stick to agreed-upon objectives makes it difficult to know when it’s successful. Choose the right tools. Selecting the right project management software and methodology helps connect teams, departments, and executives, and streamlines collaboration. Understand your team’s capacity. Knowing your team’s capabilities, relative to project scope, budget, and timeline, will enable you to quickly resolve issues as they arise over the course of projects. Be comfortable pushing back. When requests come in after-the-fact that may impact project delivery timelines or budget, don’t hesitate to push back and ensure you can accomplish your original objectives.